The country is under heightened security alert since the attack, and police said on Friday they were investigating a threat made against Ms Ardern on Twitter. "This is a special janazah. We don't do these every day," one mourner said over a microphone, referring to an Islamic funeral prayer. "We don't bury 27 of our brothers and sisters every day." Ms Ardern, surrounded by ministers and security officials at Hagley Park, wore a black headscarf and a black suit. Female police at the park also wore headscarves, with a red rose on their uniforms. 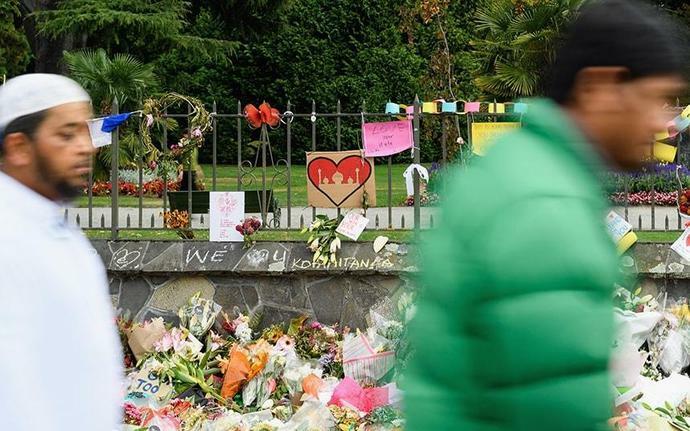 In a powerful speech that lasted about 20 minutes, Mr Fouda said through its love and compassion, New Zealand was unbreakable. "We are here in our hundreds and thousands unified for one purpose - that hate will be undone, and love will redeem us," he said. Mr Fouda also denounced Islamophobia, saying it had killed people.